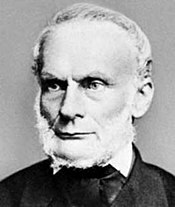 ^ Clausius, Rudolf (1862). "On the Application of the Theorem of the Equivalence of Transformations to Interior Work. ]"向蘇黎士自然研究會（Naturforschende Gesellschaft）1862年01月27日發佈;刊登在該会的季刊（Vierteljahrschrift of this Society）vol. vii.第48頁;又在Poggendorff’s Annalen, 1862年5月，第cxvi冊第73頁;在哲學雜誌（Philosophical Magazine）, S. 4. vol. xxiv. pp. 81, 201;在巴黎數學刊物 （Journal des Mathematiques）S. 2. vol. vii. P. 209. ^ 秦允豪. 《热学》. 高等教育出版社. : 169. ISBN 978-7-04-013790-3. ^ 人类认识世界的五个里程碑. 清华大学出版社有限公司. 2000: 144. ISBN 978-7-302-04197-9. ^ Carnot, Sadi (1796–1832). Wolfram Research. 2007 [2010-02-24]. ^ Clausius, Rudolf. On the Motive Power of Heat, and on the Laws which can be deduced from it for the Theory of Heat. Poggendorff's Annalen der Physick, LXXIX (Dover Reprint). 1850. ISBN 0-486-59065-8. 恩里科·費米. Thermodynamics. Prentice Hall. 1937. Reif, F., . Fundamentals of statistical and thermal physics. McGraw-Hill. 1965.